We encourage and support the well-being and individuality of every older adult. Our Personal Care suites offer a comfortable atmosphere in which personal care promotes independence and meaningful living. 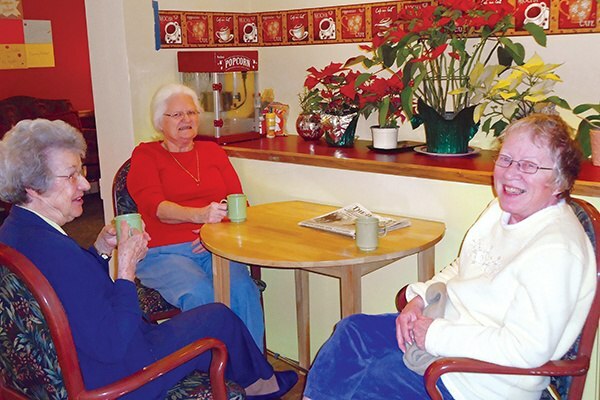 Consider what sets us apart for personal care and where residents enjoy sharing a cup of coffee at the Bistro. Feeling at home is an important part of life at Westminster Woods. In addition to personalized care, we offer opportunities to make new friends, enjoy new and favorite things to do as a part of our Homestead family. 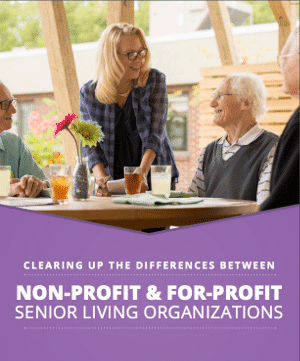 Maintaining wellness, vitality, dignity, and purpose is critical to the residents who live in our Personal Care suites where we seek to provide the perfect blend of assisted and independent living. Local Transportation Available for Medical Appointments, etc. All of our clubs and activities are initiated by Westminster Woods residents, based on their interests. Our Dining Services consistently receive accolades from residents, families, and guests. We offer traditional breakfast selections, including eggs, pancakes, fruit, and cereal. For lunch, our residents enjoy menu items such as grilled cheese, turkey and swiss sandwiches, BBQ chicken, spaghetti with sausage, and tuna platter. Dinner includes a variety of salads, fresh fish selections, stews, chicken dishes, beef and gravy dishes, pasta, and more. An assortment of snacks and beverages are also available. Fees are per diem (daily). All plans include 3 meals daily plus snacks and beverages. We want to help you to feel free to create new friendships, embrace new hobbies, and achieve new goals. For this reason, Westminster Woods at Huntingdon offers a wide range of services to help you live an active and healthy life. From wellness education programs to assistance with coordination of services following a hospital or health center stay, we're here to help you live a healthy, fulfilling life. And to help you be the best you can be, the Terrace Community Center is a place where our staff, volunteers, and family will work together to help you regain your independence, renew your strength, or live out your life in an accepting, supportive environment. The Terrace Community Center offers a Living Room with fireplace, Social Room, Fellowship Center, Juice Bar, Fitness Center, Group Exercise Studio, and Multipurpose room for life-long learning. It's truly a great addition to the Westminster Woods at Huntingdon community. We also offer a state of the art, skilled nursing facility, The Oaks. It's designed as a neighborhood where our staff, volunteers, and families work together to help people regain independence. We are Medicare and Medicaid certified. We offer extensive rehabilitation services and resident-centered care.